We are living in an era where things are getting technically advanced day by day and everything has a presence online starting from selling a ‘Paan’ to ‘attending classes’ in a college. Today, youth is so full of energy and they prefer to do multi-tasking and gain multiple skills and that’s when the Online/Virtual Internships come into the picture. Most of the students/people apply for an online internship to have something to ‘add-on’ in their resume or to have a certificate or maybe your college told you to go for internship and you don’t want to go to some other city and do the internship. 1) Shows your future employers that you are someone, who is capable of doing things independently and meeting the targets/deadlines with minimal supervision. 2) Shows that you are someone who takes initiatives in life and ready to walk an extra mile to pursue your field of interest. 3) Helps you in discussing your ideas with like-minded people from various regions of country/globe (If an International Internship) while sitting at home and thus, building the professional network, which is going to help you throughout your life. 4) Measures you on various skills like self-motivation, decision taking ability, working independently, communication skills, writing skills, management skills, and most importantly, people skills. 5) As a college student, helps you in building professional and career skills much before you actually enter into the professional life and can help you in getting a letter of recommendation from the management (highly depends upon your performance). 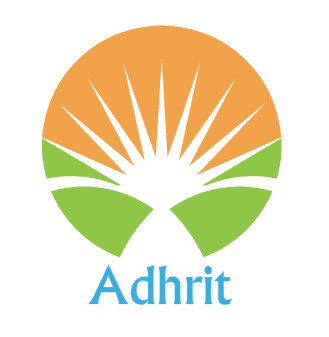 In case, you are looking for an Online Internship at Adhrit Foundation, Apply here.